James Dighton Lea obituary. Carnes Funeral Home. 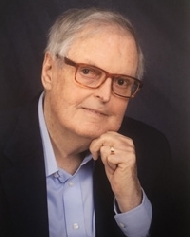 James Dighton Lea, beloved husband, father and grandfather, passed away on Saturday, August 11,2018 at the age of 85. He was born on April 9th, 1933 in Nashville, TN. Jim is preceded in death by his parents; Sarah Catherine Dighton Lea, Thomas Calloway Lea III, his wife Doris Janette Walker Lea and his daughter Sarah Jane Lea. He is survived by his daughter Catherine Ann Lea Weeks, his son-in-law Kris Allen Weeks and his three grandsons; Curtis Daniel Faldyn, Thomas Lea Faldyn and Stephen James Faldyn. Funeral services will be held on Thursday, August 16th, 2018 at St. Thomas Episcopal Church in Houston at 10:00 a.m. with Reverend David Browder officiating. Graveside services will be held on Saturday, August 18th, 2018 at 12:00 p.m. at Restlawn Memorial Park in El Paso, Texas. In lieu of flowers, contributions may be made to St. Thomas Episcopal School, 4900 Jackwood in Houston, Texas 77096 or the National Parkinson Foundation.